Size: about 42″ x 54″ square. 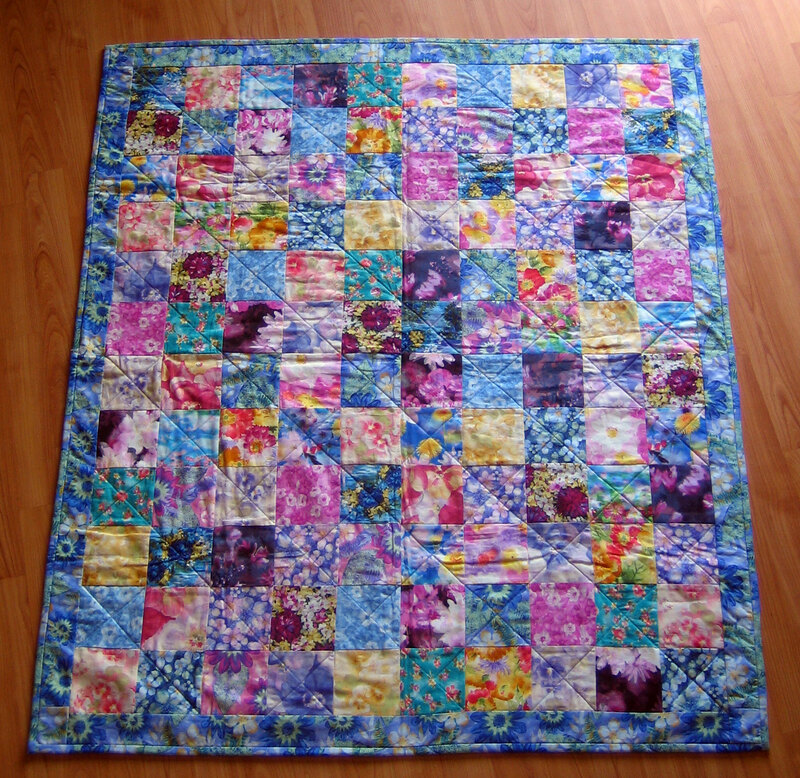 I made this quilt for my niece. 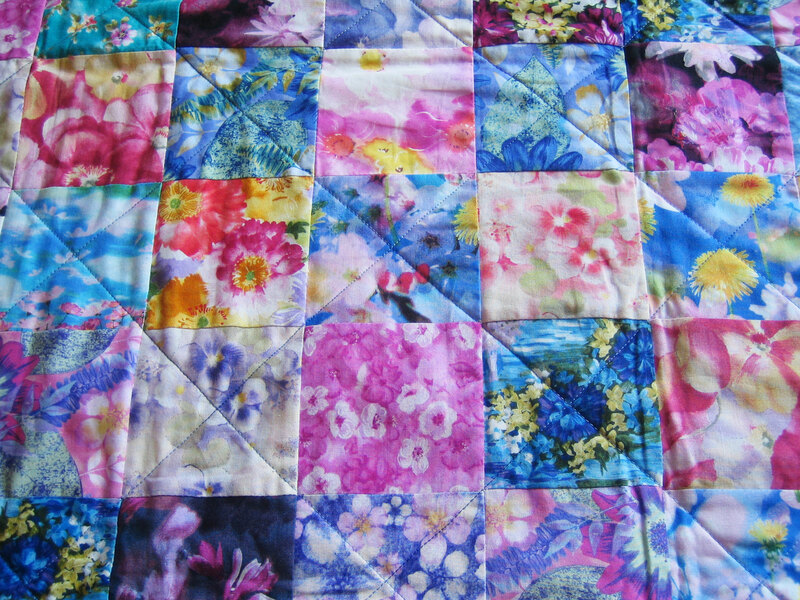 I purchased some floral charm squares on ebay and just sewed them together in a grid.